Spot Sprayer Tanks are available in several different volumes and are designed as portable supply tanks. 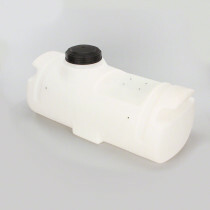 These tanks have bottom mount inserts and are able to have a complete drain-out of fluids. Spot sprayer tanks are chemically resistant in order to contain a variety of liquid applications to complete spot spraying jobs.